Saudi Arabia's oil supplies to Canada will not be impacted by a dispute between the two countries, the kingdom's energy minister said Thursday, reassuring customers after Riyadh froze new trade with Canada and ruled out mediation efforts. The world's largest oil exporter has a "firm and long-standing policy" that petroleum supplies are not influenced by political considerations, Khalid al-Falih said in a statement. "The current diplomatic crisis between Saudi Arabia and Canada will not, in any way, impact Saudi Aramco's relations with its customers in Canada." Saudi Arabia, infuriated by Canada's demand last week that jailed rights activists in the kingdom be released immediately, expelled the Canadian ambassador Sunday, blocked imports of Canadian grain and ended state-backed educational and medical program in Canada. Bilateral trade between Canada and Saudi Arabia is worth nearly $4 billion a year. Canadian exports to Saudi Arabia were about $1.12 billion in 2017, or 0.2 percent of the total value of Canadian exports. Foreign Minister Adel al-Jubeir ruled out any mediation efforts and called on Ottawa Wednesday to "fix its big mistake," saying the kingdom was considering implementing more measures against Canada for interfering in Saudi Arabia's domestic affairs. 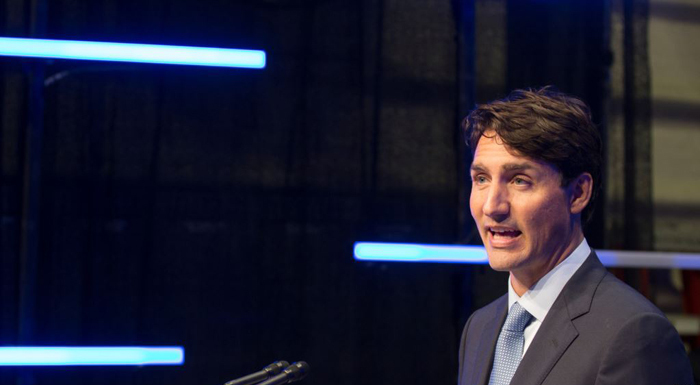 Canadian Prime Minister Justin Trudeau later appeared to extend an olive branch, saying he would keep pressing Saudi Arabia on civil liberties but also saying the Gulf Arab state had made some progress on human rights. "Diplomatic talks continue... we don't want to have poor relations with Saudi Arabia. It is a country that has great significance in the world, that is making progress in the area of human rights," Trudeau said. Saudi Arabia has in recent months detained several women's rights activists, some of whom had previously campaigned for the right to drive and an end to the kingdom's male guardianship system, the latest to be swept up in a government crackdown on activists, clerics and journalists. Prince Mohammed has launched a campaign of social and economic change, but has not eased the absolute monarchy's total ban on political activism. He has taken a more aggressive stance toward archrival Iran, began a three-year war in Yemen and led a boycott of fellow Gulf Arab state Qatar. In addition to the trade freeze, Riyadh has stopped sending patients to Canadian hospitals and suspended educational exchanges, moving Saudi scholars to other countries.